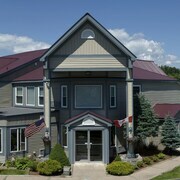 Situated in St George, this golf hotel is 9 mi (14.5 km) from Deer Island Ferry and 10.7 mi (17.1 km) from Grand Manan Ferry. This inn is perfectly located and affords a spectacular view of the sea from every room. The staff are warm, friendly and very helpful making it a most wonderful place to stay in beautiful St. Andrews by the Sea! Nice place, would stay there again. Friendly staff. 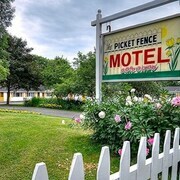 Where can I find hotels in Blacks Harbour that are near tourist attractions? 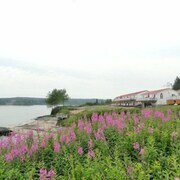 Are you after a hotel or apartment in downtown Blacks Harbour? Within easy driving distance from central Blacks Harbour there are 2 Expedia-recommended hotel and apartment options you can choose from. 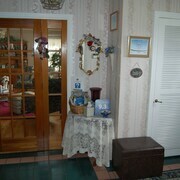 A great choice if you are looking to stay close to the heart of Blacks Harbour, is the The Harbour Tide Inn B&B. 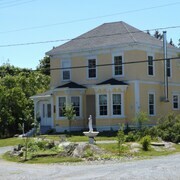 The Kingsbrae Cottage is situated 20 kilometres (13 miles) from the center of Blacks Harbour. Another hotel is the Granite Town Hotel, which is situated 9 kilometres (6 miles) away. 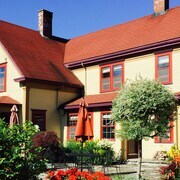 Other places to stay in this area are the Hillside and the Parker House. Looking for more to do? Why not spend a few hours visiting The Old North Head Post Office and Grand Manan Whale and Seabird Research Station, which you'll find in North Head, 30 kilometres (20 miles) to the south of Blacks Harbour. If you'd like to visit North Head, check out the The Marathon Inn and Adventure High. 60 kilometres (38 miles) to the northeast of Blacks Harbour, you can also stay at Saint John, home to the Hilton Saint John and Delta Hotels by Marriott Saint John. While in Saint John, be sure to check out the Reversing Falls and University of New Brunswick - Saint John. If you are really into sports and really like games you might like to make a trip to Harbour Station, which is 60 kilometres (38 miles) to the northeast of Blacks Harbour. Sports fans wishing to find accommodation close to the action can choose from the Château Saint John & Suites, an Ascend Collection or the Hampton Inn & Suites Saint John. 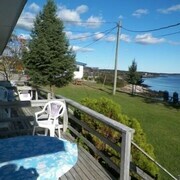 Thank you for taking the time to explore our Blacks Harbour hotel listings. Now, do yourself a favour and spend a few minutes exploring Expedia's Blacks Harbour travel guide for the low-down on this place's many attractions. 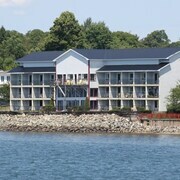 What are the most popular Blacks Harbour hotels? Are there hotels in other cities near Blacks Harbour? What other types of accommodations are available in Blacks Harbour? Explore Blacks Harbour with Expedia.ca’s Travel Guides to find the best flights, cars, holiday packages and more!